CNN's Chris Cuomo is moving to the toughest time slot in cable news, the 9 p.m. hour, sometime this spring. "Cuomo Prime Time" aired for a week last summer and came back for most of the month of January. Now it will be a nightly show, facing off against Sean Hannity on Fox, Rachel Maddow on MSNBC and countless other prime time shows. The network confirmed Cuomo's move on Wednesday after it was reported by The New York Times. "The show will feature Cuomo's signature in-depth one-on-one interviews that test politicians and newsmakers on their positions, as well as analyses of news of the day and the latest breaking news," a CNN spokeswoman said. 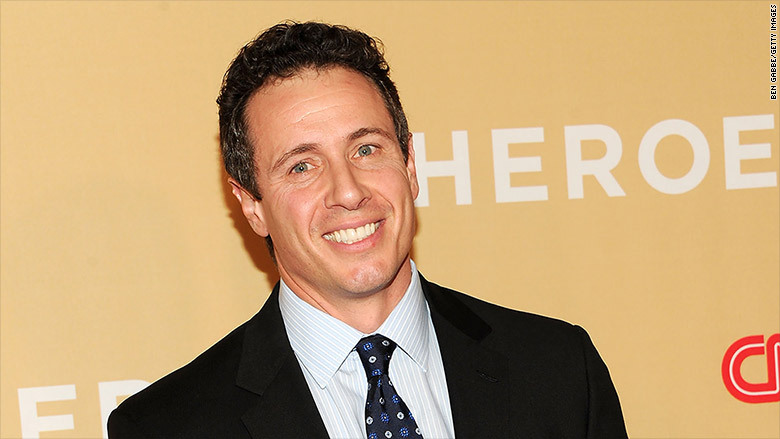 Cuomo has been the co-anchor of CNN's morning show "New Day" since 2013. "New Day" airs from 6 to 9 a.m. EST. When he moves to prime time, CNN's 9 and 10 a.m. co-anchor John Berman will move to "New Day," joining Alisyn Camerota. The exact dates for the changes have not been announced. Anderson Cooper will remain at 8 p.m. and Don Lemon will stay at 10 p.m.
"Cuomo Prime Time" solidifies CNN's prime time schedule, which has had several different programs at 9 p.m. in recent years. Most nights, "AC360" at 8 p.m. has expanded to two hours to provide live news coverage, but documentaries and specials have also occasionally aired in the time slot. The cable news ratings race is especially intense at 9 p.m., with Hannity routinely ranking as Fox's top-rated show of the day, and Maddow consistently ranking as MSNBC's top-rated show. In the 25- to 54-year-old demographic, the coveted demo for advertisers in the cable news business, Hannity averaged 711,000 viewers in February; Maddow averaged 641,000; and "AC360" averaged 386,000. The big difference, of course, is that Hannity and Maddow are expressly political shows, coming from the right and the left, respectively, while "AC360" is a newscast with panels of left- and right-leaning guests. During his month-long run in January, Cuomo sought to stand out by booking both Republican and Democratic newsmakers for in-depth interviews. He told The Hollywood Reporter that Fox has "made a very obvious choice about what they want to do. And MSNBC has made an obvious choice as well. And they are within their rights to do that, and the audience gets to decide. That's the beautiful thing about this business." At the end of the month-long test, Rolling Stone favorably wrote about Cuomo with a story titled "How a Political Son Became America's Toughest News Anchor." Cuomo's father, Mario Cuomo, was a former governor of New York, and his brother Andrew is the state's current governor. Cuomo celebrated the announcement on Wednesday by tweeting out one of his favorite phrases, "let's get after it" and talking about his passion for "testing power and pushing for progress." "We will test power. Every. Damn. Day. Just like always. Have to talk TO people more and ABOUT them less. Debate with decency. The need is clear. Hopefully we help fill it," he wrote.